New Jersey State Senate Minority Leader Thomas H. Kean, Jr.
Senate Minority Leader Tom Kean, Jr. is expected to announce on April 16 that he will challenge freshman Rep. Tom Malinowski (D-Rocky Hill) in New Jersey’s 7th district, the New Jersey Globe has learned. 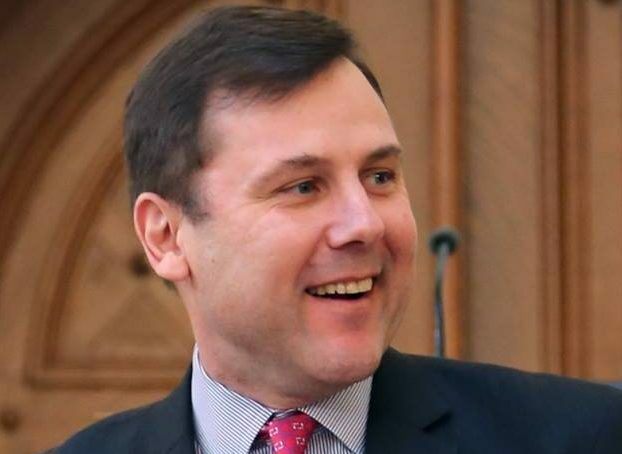 Kean launched an exploratory committee in March and will formally enter the race for the Republican nomination at an event next week in Clark. “I have concerns about the direction of our Congress. New Jersey deserves strong leadership and I’m exploring a run for Congress,” Kean told the Globe last month. Kean, 50, is widely viewed as a top-tier challenger to Malinowski, a former assistant U.S. Secretary of State who ousted five-term Rep. Leonard Lance (R-Clinton) last year. Republicans view Malinowski as a top target next year as they seek to regain control of the House. The son of a popular former governor, Kean is a proven vote-getter in his own right. He has won six races for the New Jersey Legislature by wide margins in a district that has become increasingly more Democratic and has been through a tough campaign as a U.S. Senate candidate in 2006. Several Republicans are also mulling bids in the 7th, including State Sen. Michael Doherty (R-Oxford), Assemblyman Erik Peterson (R-Franklin), and former U.S. Senate staffer Rosemary Becchi. Becchi has been the most active so far. She has met with Republican leaders to discuss a possible congressional bid – something she has denied – and is running a dark money non-profit in a bid to help GOP candidates running this year. Tom Philips, a 41-year-old human resources executive from Scotch Plains, was the first candidate to enter the race. Malinowski raised more than $560,000 during his first three months in Congress, an impressive fundraising haul. There are 5,066 more Republicans than Democrats in the 7th, which supported Hillary Clinton over Donald Trump in the 2016 presidential election by a 48%-47% margin – a 4,139-vote plurality. Malinowski beat Lance by 16,400 votes (52%-47%), becoming the first Democrat to win the 7th district seat since 1956. As a first-time candidate, Malinowski raised nearly $6.3 million – more than double what Lance raised. Kean raised nearly $7.9 million when he ran statewide twelve years ago.